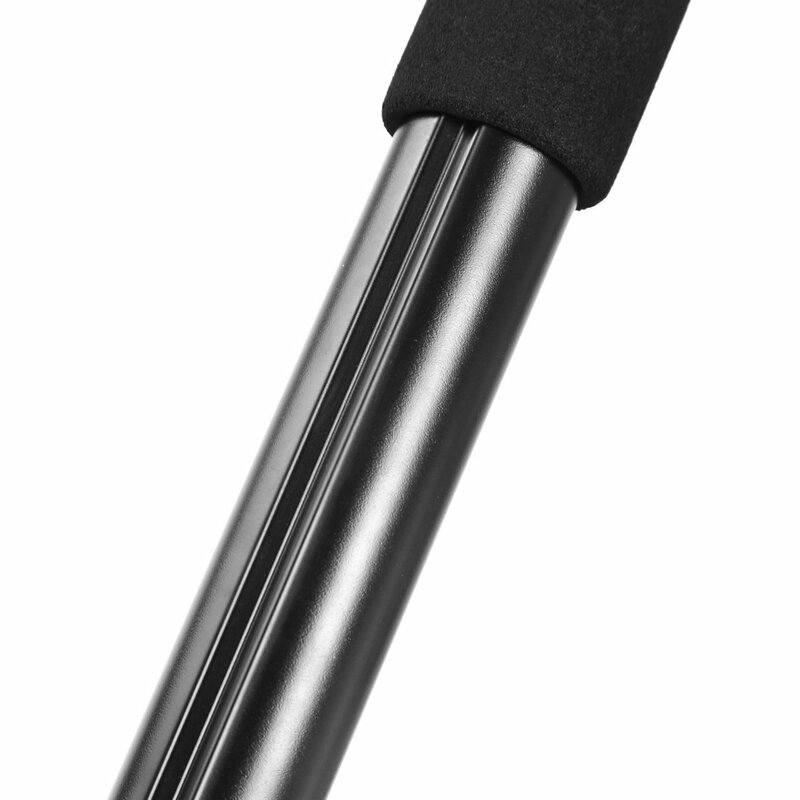 Multifunctional：Not only a monopod for cameras, but also act as a walking stick for outdoor use, it also can be used with three feet support stand. Ideal for sport interview, travel photography, extreme sports and so on. 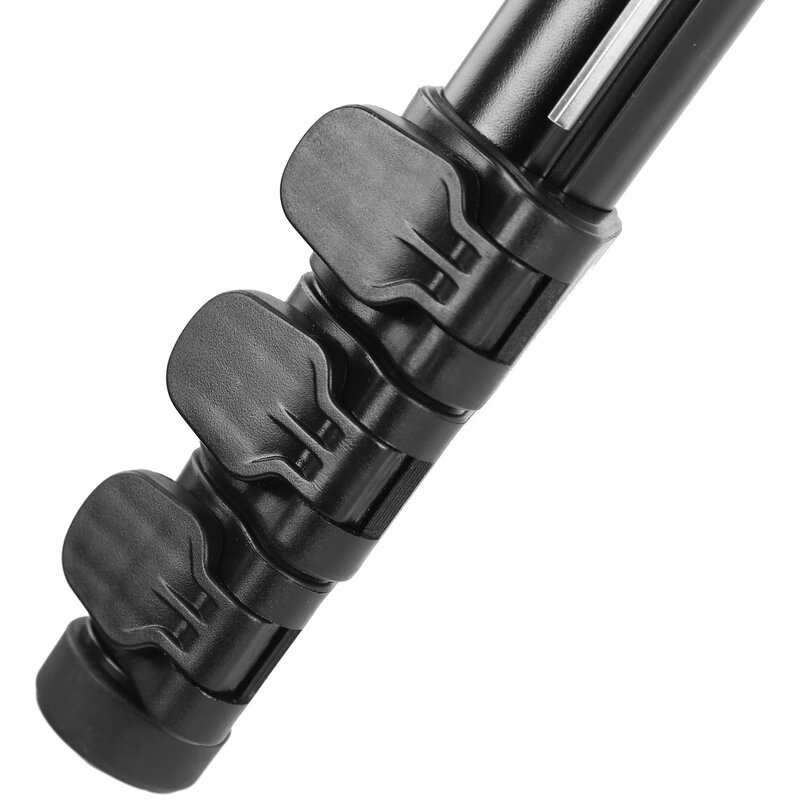 The UNC1/4″ and UNC3/8″ screws can be convertible and fixed fast by using the included allen wrench on the loading plate, make it suitable for all DSLR cameras camcorders and ball heads. 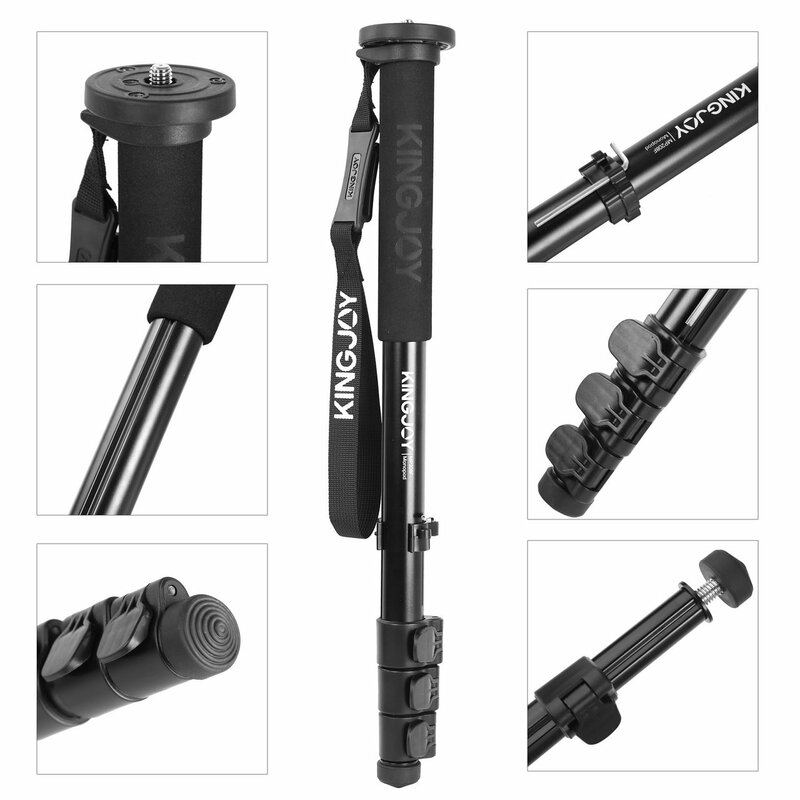 4-section Aluminum telescopic monopod with flip-locks leg design for convenient you to adjust its height from 48 cm to 155 cm. 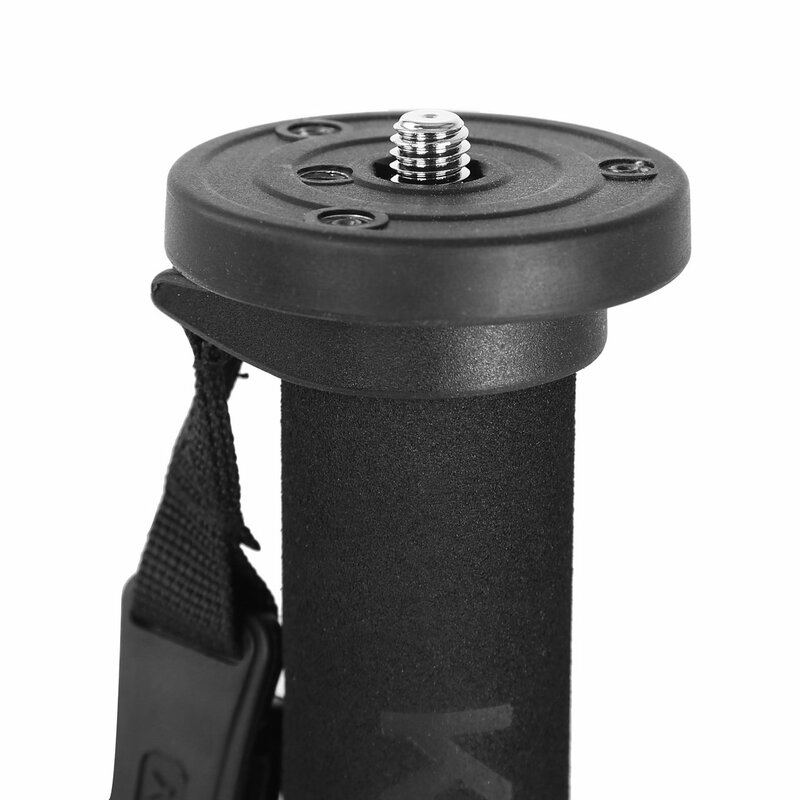 speedy and more stable, greatly increase the stability. Detachable spiked feet makes it compatible for all terrains even harsh condition, assuring safety and stability. 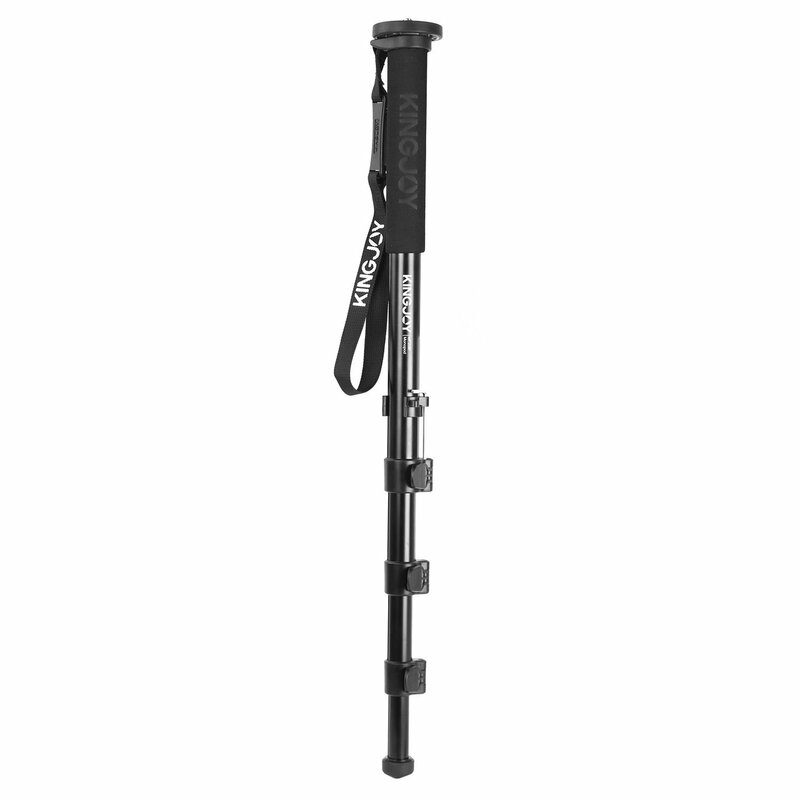 With a belt hook for convenient to hang the monopod onto your belt while traveling, and a hand strap for convenient to carry and increasing the security of equipment.